On June 27, 1954, Sam the sixth child of eight children was born to Sam and Cora Wilks (Wilson) in Norfolk, Virginia. He transitioned from this life on January 10, 2019. Sam was educated in the public-school system in Norfolk, Virginia and he attended Norview Senior High School at a time when integration was being challenged. After high school he got odd end jobs painting both commercially and residentially. He eventually made painting his career. Sam moved to Junction City, Kansas in 2001. He briefly worked for USD475 and then worked for Millennium Rail, Inc., painting rail cars. In 2009, he was injured on the job and was forced into retirement. Sam was faithful in driving his sister to Winfield, Kansas every Sunday for church, and in 2003, he joined the fellowship of Bethel African Methodist Church, Winfield, Kansas. There he served as an usher and would help where ever and whenever he was needed. 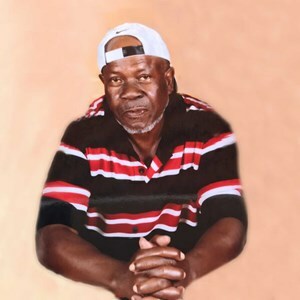 In 2009, Sam joined the fellowship of Ward Chapel African Methodist Episcopal Church where his service as an usher continued until he became ill.
Sam enjoyed cooking and entertaining others. Anyone that was hungry could always go to his home and they were guaranteed to find something either cooking or something that had already been prepared. He never knew a stranger. He was preceded in death by his loving parents Sam Wilks Sr., (father) and Cora Wilks Wilson (mother). He is survived by two daughters, Janeka Wiggins (Anthony), Pottstown, PA; Samel Watson (Langston) Pottstown, PA; six sisters, Jeanette (Theo) Jacobs, Dale City, Virginia; Willie Mae Thomas (James), Chesapeake, Virginia; Rev. Viola Jones, Kansas City, Kansas; Mary Battle (Robert), Spring Hope, North Carolina; Leola Freeman (Steve), Chesapeake, Virginia; Sandra Woodhouse (Earl), Chesapeake, Virginia, and one brother Herman Wilks, Frackville, Pennsylvania. His partner of many years Dorothy Church, Junction City, KS, A host of grandchildren, nieces, nephews and friends that he leaves behind in his memory. Add your memories to the guest book of Sam Wilks, Jr..
My deepest sympathies to family and friends of Sam. Sambo & I worked together at millennium rail for some time till I relocated to Texas. I remember him & his contagious laugh. Always telling jokes and sharing stories. Very hard worker who loved life and family especially his Sister who he took faithfully to Winfield. Although I had not talked to him in years every once in a while we would wave at each other when I came to visit my family in JC. most of the time when he came to Hampton inn to get Dorothy. Our love and prayers are with you Dorothy & all the family. He will be missed but will live in my heart , mind & conversations. He was a great guy. RIP Sambo from Hot Rod & family.